So late Sunday night, I was nominated for this award, And was smiling my face off. Its such a wonderful idea and a lovely thing to receive so I'd like to thank Ellie and Rhian who run such a lovely beauty blog which you can find Here. 1. Thank the Lovely blogger that nominated you. 2. Answer the 11 questions they've asked you. 3. 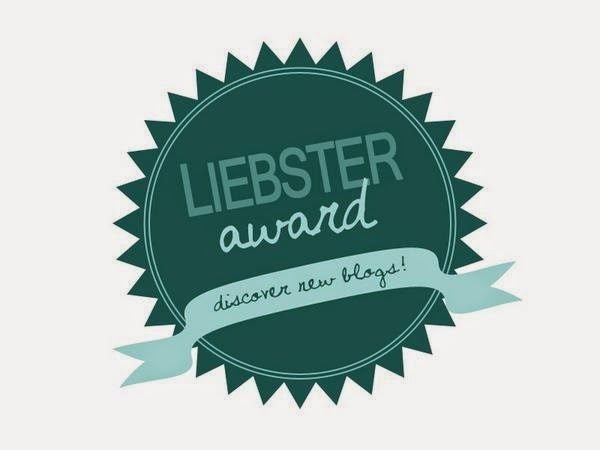 Nominate 11 other bloggers with under 200 followers. 4. Ask them 11 questions to answer too. Starting a blog is something i really wanted to do for such a long time and one of the main reasons i started my blog, was because i needed something that i could direct my focus onto. I spent a few months writing about my experiences and things that happened to me and then felt like it was time. The last 4 months has been a learning curve, i have met a few new lovely people and my blog has been a place that i could escape to, and in some ways helped me though a lot of personal issues. 2. What are your interests/hobbies? Interests and hobbies wise i don't really have many, I'm an arty farty girl and love anything textiles, and fashion based, hence why i studied it at college for two years. I'm also really into my photography and long country walks, writing, blogging and cooking. 3. What is your favorite drugstore make-up product? Most months my favorite product changes depending on what i use or buy from the drugstore. This month i have been loving two different products with are firstly New York colors Natural matte foundation number 001. The next product i have loved, has been seventeen stay time concealer, Which has worked a treat for my spots! So at the moment i am in love with Brighton (B town) and hopefully i will be moving there next summer! (if i can afford it) But apart from that the one place i have always wanted to go is Canada! i mean its amazing all year round. you've got all the snow and frozen lakes most year round, and then when it warms us the summer time looks amazing. Beautiful views and seems so isolated, which i love the idea of. 5. What is your dream career? Since i was like 12, my dream career has been to be a fashion designer, i always would draw out different outfit ideas and even had a massive folder of some of the stuff id put into my "fashion line" haha. I think over time dreams change and i'm now nearly 19, id still like to work in the fashion industry, but i feel like at the age of 12 i wasn't to sure what being a fashion designer consisted of, and now i do. 6. Do you have a celebrity that inspires your style/fashion, if so who? I feel like a lot of different celebrity's inspire me, But i don't really dress or aim to dress like any celebrity, because i feel like fashion is self expression. 7. What are your aspirations for the future? 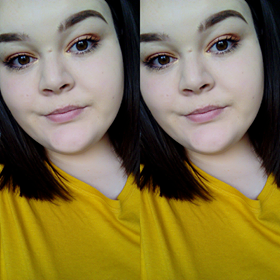 One of the main things i need to focus on is my mental health as that has been a massive set back for me and i would love to be able to over come that and be in a better place, I want to be happy with myself as well as everything i do, and slowly that's coming together. I'm hoping to move and study in Brighton next summer and hopefully get a career doing something textiles based! but apart from that, i dont have a clue what i want, and for now i think that's best, because if i get the chance to do something, I'm very likely to take it! 9. Do you have a quote you live by, if so what is it? The only quote/sayings i can think of that has actually mattered to me is "Live each day like its your last" And "Everything happens for a reason" and the only reason that both of these quotes mean so much to me is because of my auntie. These quotes are placed in here house and though out her struggle with cancer she also said that everything happens for a reason and she was living each day like it could be her last. I'm so proud of her, and around this time last year she got the all clear and continues to live by quotes. 10. What would you wear on a cinema date with a friend of yours? A simple outfit because its only the cinema so your be sat for a couple hours, but you also want to look good too. a cute loose summer top and cardie, or jumper depending on the weather. 11. What was the last beauty product that you purchased? The last beauty products i purchased was two different eyeliners, a pencil and a liquid. The pencil is New York Color high definition liquid eyeliner, And the other is also New York color Kohl Kajal eyeliner pencil. 1. What do you most enjoy about running your own blog? 2. Beside blogging what other hobbies/interests do you have? 3. If you had 3 wishes, what would they be? 4. Who are your top 5 favorite youtubers? 5. Do you have a fashion icon, if so who? 6. If you got the opportunity to do blogging as your full-time career, would you take it? 8. Who's your celebrity crush? 9. What is your favorite song at the moment? 10. If you could go anywhere in the world where would it be? 11. What advice would you give someone that wants to start a blog of their own?